Algiers (AFP) - Algeria's President Abdelaziz Bouteflika and his allies will have free rein to prepare for the ageing leader's succession with the removal of the once-powerful intelligence chief, experts and local media said Monday. Bouteflika has ruled the oil-rich North African state since 1999, but concerns have been growing over how much longer he can stay in power. The 78-year-old won re-election last year but appeared only once during the campaign, in a wheelchair after suffering a stroke in 2013. For years the head of the influential DRS intelligence service Mohamed Mediene -- better known as General Toufik -- had been a potential rival for power. But on Sunday the 76-year-old general was replaced by his deputy in a move experts said sealed the full control of Bouteflika and his inner circle over the security services. 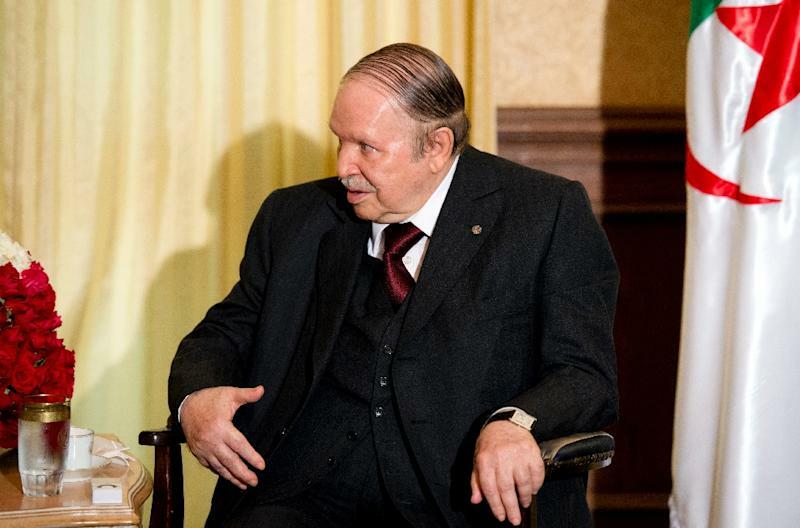 After 16 years in power, Bouteflika "has the stage to himself," said analyst Rachid Grim. "He is preparing to leave power but is controlling his succession." Since the end of July, Bouteflika and his circle have removed several security chiefs, in what analysts say has been a behind-the-scenes power struggle between the president and the DRS. Local press on Monday said the removal of General Toufik, who had seen five presidents come and go in his 25 years heading the agency, marked the "end of an era". With his latest move, Grim said, Bouteflika has consolidated his hold over an agency long considered by many to be the "real power" in Algeria. Now, observers say, focus is shifting to who might be in line to take Bouteflika's place, including his influential 58-year-old brother Said. 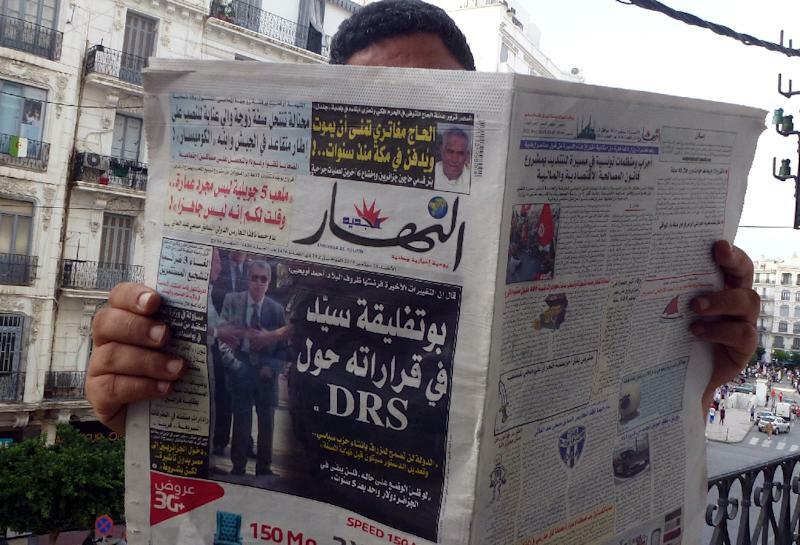 "We don't know if power will change hands soon," wrote local daily Le Quotidien d'Oran, but "the post-Bouteflika era is not far off." A former member of the presidential staff stressed however that the president was still the one in charge. "Bouteflika listens to advice but takes decisions himself despite his illness because nobody knows the inner circle as well as him," he said, speaking on condition of anonymity. Grim agreed, saying of Bouteflika's brother: "Said does not have such a Machiavellian spirit -- even if the president does listen to his advice." Since the end of 2013, Bouteflika has reassigned many of the DRS's functions to army chief of staff Ahmed Gaid Salah, who was promoted to the post in 2004 after his predecessor opposed a second presidential term, Grim said. "He (Bouteflika) has laid out a plan that he is putting into play to turn the DRS into an empty shell," he said. Grim said General Toufik's dismissal was not a spur-of-the-moment decision, but the "conclusion of a long process" that Bouteflika started when he came to power in 1999. At the time, he said he would not be "three-quarters of a president" when asked about his power possibly being curbed by the generals who called on him to succeed Liamine Zeroual. "Bouteflika is not (Habib) Bourguiba," said Grim, referring to the president of neighbouring Tunisia who became senile before Zine El Abidine Ben Ali ousted him in 1987. Still, Grim said there were no clear signs that Bouteflika's brother Said was being groomed to become the next president. "Bouteflika just wants to protect those close to him from any score-settling" after his departure, he said.